Buying a new Bentley now includes a psych test. It's not a deep dip into childhood fantasies, but it does provide a surprisingly clear direction for a new-car decision. Instead of relying on whims and fads, the computer program is intended to tap into underlying desires instead of preconceived ideas. It still takes a human touch from one of Bentley's design gurus, but the results are already changing the look and feel of cars being built at the company's historic headquarters in Crewe, England. "We had one customer who was set on a black car with black leather. We ran him through the Design Studio process and came up with something completely different. And he was very happy," says David Fearnley, lead interior designer at Bentley Motors. The test starts with a series of picture choices — often between modern and classic or fire and ice — before an expert consultant moves in to the Bentley Studio to guide a potential buyer. Fearnley was recently in Australia to demonstrate the operation of the Studio, which was first trialled as a pop-up in the US last year and is now being rolled out through the Bentley network. He says people often struggle to make relatively simple colour and trim choices on any car, without worrying about the one million-plus combinations at Bentley. And even that number is without dipping into the truly bespoke service, where even a nail polish colour can be applied to a car, from the Mulliner division. "The test gives us almost a nucleus of a person. We carefully selected the images. It's somewhere to start," says Fearnley. "There are four goalposts in the test — adrenaline, future, serenity, legacy — to allow us to start to talk to customers. So the technology is going ahead but it's also a way to start a face-to-face interaction with customers. "There is a growing number of people who want a bespoke service. It's quite entertaining for us when we're trying to make people happy." 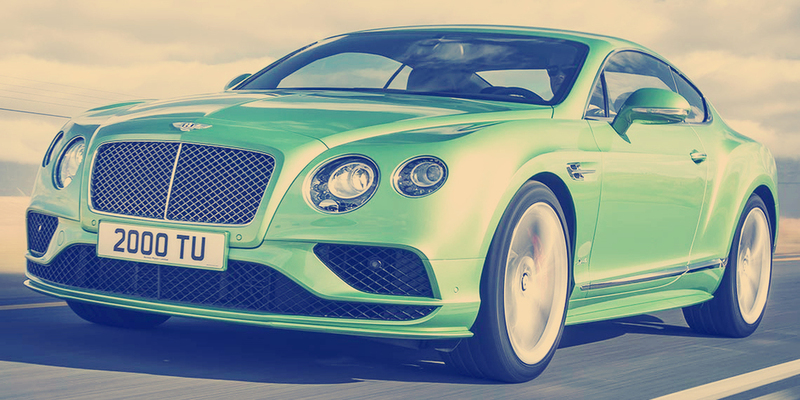 After the computer quiz, the Bentley Studio process begins with a choice of body colour. Then comes the major leather colours for the cabin, starting with the top of the dashboard and moving through the seats, before such things as the dash and centre-console materials. Some owners even choose to buy a Bentley child seat, then have it trimmed to match their car's cabin. "It's all about piecing together the story of a person's car," says Fearnley. "It's their car, their expression. Many people say they buy a Bentley and never intend to sell it, so their choices are something they will be living with for a long time."